PRIVATE Taping Session with the King of Tape with Black, Gold or Silver tape options and unique design. 1 Hour Photo Shoot with the King of Tape on location on a private island in the Maldives. 5 Professional Edits from your shoot + 1 post on the official IG account for the @BlackTapeProject. *Flights and Transportation from MLE (Maldives Airport) not included. 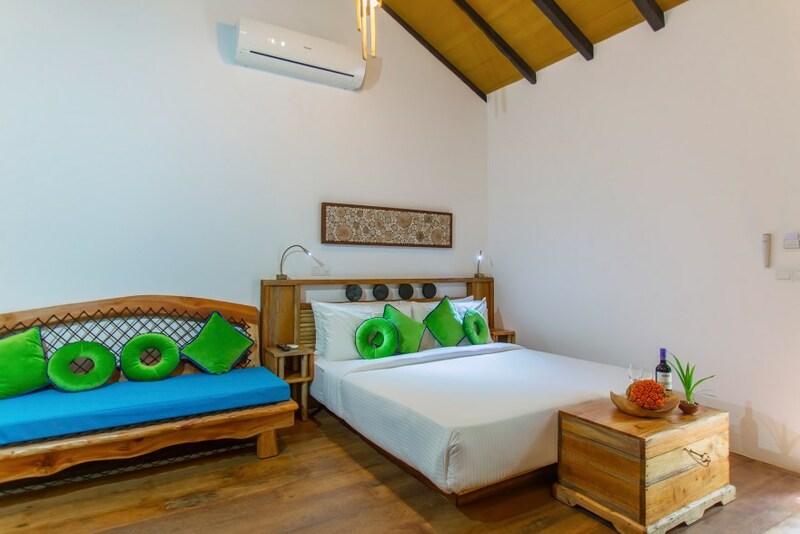 These are individual bungalows designed with a traditional Maldivian architectural style. Each Villa has an outdoor private veranda with a local swing. To ensure maximum privacy, the open air yard of the Villa has a fence on either side. Through your private yard is direct access to the private island beach. Flights from your location to MLE Maldives Airport must be booked separately. Transportation from the MLE Airport to the Private Island must also be booked separately. Roundtrip Speed Boat or Sea Plane Transfer from Maldives Airport to Private island is necessary. This is in addition to your Paradise Challenge Package and is not included with your package. Approx Cost for Speed Boat: $100-$150. Approx Cost for Sea Plane Transfer $398.